We’re back in your podcast feed! We will start recording Season 2 of the show next week and the entire season should be released in about a month. 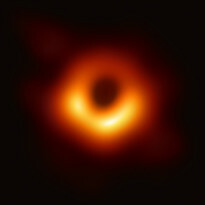 In the meantime Cristina and Pat gave Stuart a call and asked him to explain the recent news about an image of a black hole. If you have feedback or a topic suggestion you can email us. Dr. Stu here. We make every effort to ensure accuracy in each episode, but sometimes mistakes get by us. We catch most of those before the show even goes to air, but sometimes even that’s not enough. We will put out a Season 1 corrections episode when we are reasonably confident that everything has been caught. In the meantime, we’re going to list corrections here. Episode 24, the pronunciation of “Charon:” I had stated when we recorded that the Greek is a hard “K” sound (as in “kite”) but many of us pronounce the name of the satellite with a softer “sh” sound (as in “Cher” or “share”). I had stated this was because the discoverer of Charon, James Christy, has a wife whose name is “Sharon” and so this was a bit of an homage to her. However, this is incorrect: His wife’s name is Charlene. Same idea, but wrong name. 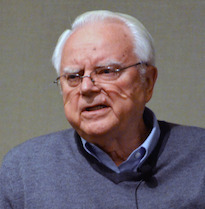 Episode 20, hypervelocity impacts in crater formation: In a slip of the tongue, I said that impactors hit planets at 10s of meters per second and make hypervelocity impacts. I was off by a few orders of magnitude: It’s 10s of kilometers per second. Super-fast. Episode 25, GPS satellites’ orbits: I incorrectly stated that GPS satellites are geosynchronous, meaning they are stationary relative to the ground, orbiting at the same rate Earth rotates. That’s incorrect: GPS satellites are too close to Earth for that, and they orbit roughly twice per Earth day, or one orbit roughly every 12 hours. Are We All Made Of Stars? 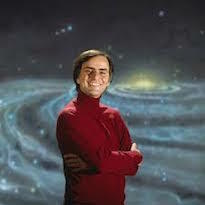 Carl Sagan famously said “we are made of star stuff.” This episode’s question for Stuart is: are we all made of stars and, if so, what does that mean? If you have feedback or a topic suggestion you can email us. What Is Interesting About Asteroids? Occasionally, rather than asking a specific question, we ask Stuart why he finds something interesting. 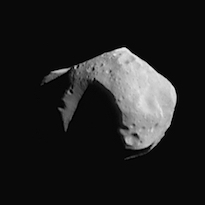 This episode’s question is: what is interesting about asteroids? If you have feedback or a topic suggestion you can email us. 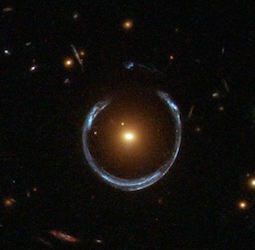 This episode’s question is: we understand that gravitational lensing is one of the predictions of Einstein’s theory of general relativity but what is it? If you have feedback or a topic suggestion you can email us. 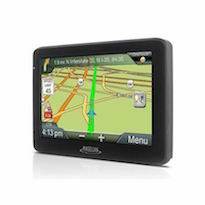 This episode’s question is: how does the global positioning system, or GPS, work? If you have feedback or a topic suggestion you can email us. 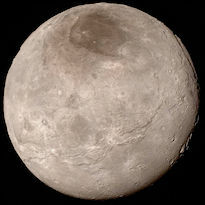 What Is Interesting About Charon? Occasionally, rather than asking a specific question, we ask Stuart why he finds something interesting. This episode’s question is: what is interesting about Charon, one of the satellites of the dwarf planet Pluto? If you have feedback or a topic suggestion you can email us. 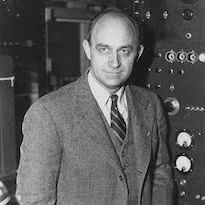 This episode’s question is a follow up to the Drake Equation episode: What is the Fermi Paradox? If you have feedback or a topic suggestion you can email us.